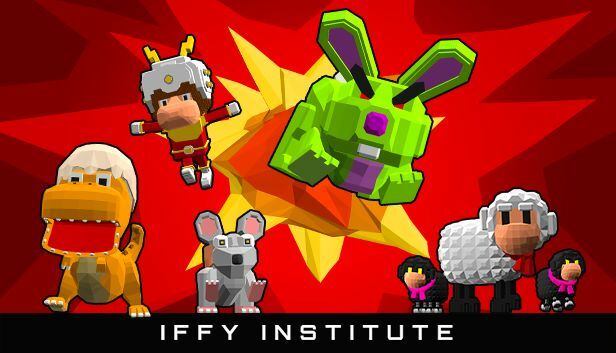 Iffy Institute is a fast-paced maze action game for 2-4 players, in which the four most high-profile lab animals fight for survival in a mad scientists lab. Build explosion chains with powerful directional bombs and roast your enemies with super-mighty special skills. Alba, Dolly, Ham, Vacanti and Rexy: the toughest and bravest animals ever to serve humanity’s scientific curiosity. Turn the tables using mighty special skills. Jetpack or earwax-cannon? Explosive clone sheep, anyone? Old school couch gameplay for 2-4 players and online multiplayer via the integrated friends list. Keep your friends close. Boost your character for a competitive edge. Hook up any combination of DualShock 4, Xbox One, Steam Link or other third-party controllers and get going, fast. Step 1 / 3 - Please enter your e-mail address to request one or more press copies of Iffy Institute and press the next button to continue.